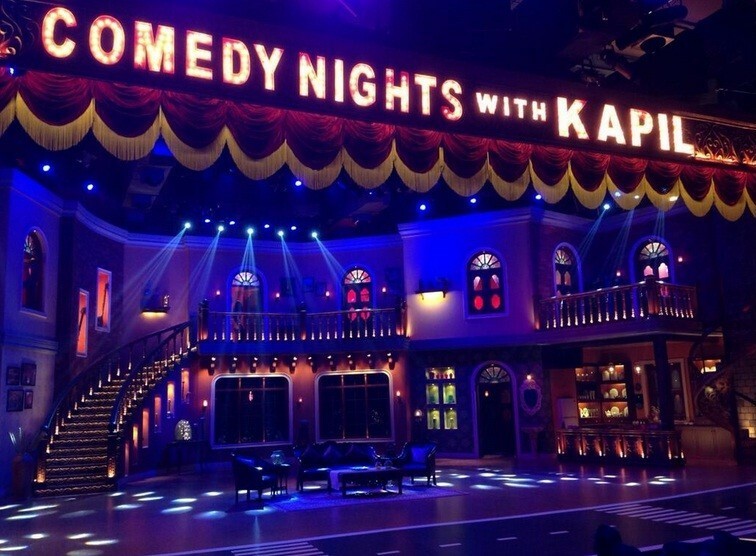 This is the first time when very beautiful & popular Bollywood actress Aishwarya Rai Bachchan will be seen on the show Comedy Nights with Kapil for the promotion of her forthcoming film Jazbaa. 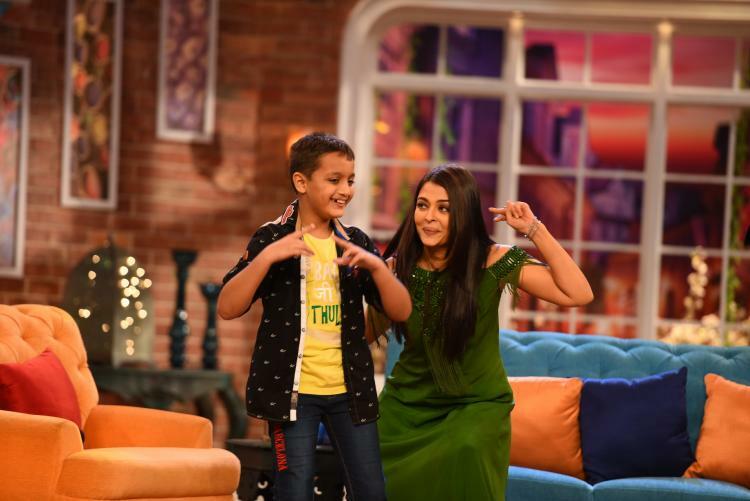 CNWK is the most popular TV show in India and also the primary medium for celebrities to promote their films. So Aishwarya is also doing the same and will be seen on the show along with her co-star Irrfan Khan. The episode is going to be telecast today (4th October) at its usual timing 10 pm on Colors. Promos of the episode are already out & increasing the excitement level of audience. 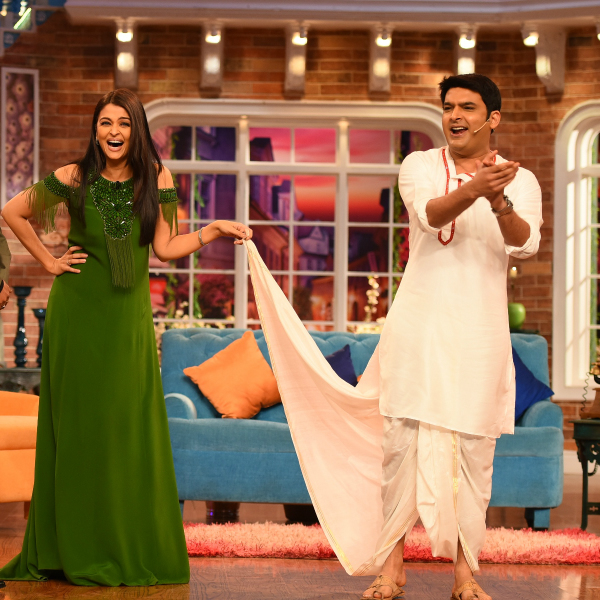 Kapil Sharma is also very much excited to have Aishwarya on his show and especially for the day he has donned an avatar of Devdas. Jazbaa is a forthcoming action drama Indian film , directed by Sanjay Gupta and jointly produced under the banners Essel Vision Productions, Viiking Media & Entertainment and White Feather Films. 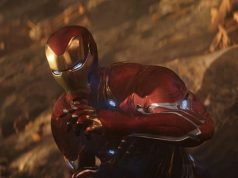 It is featuring Aishwarya Rai Bachchan & Irrfan Khan in lead roles, along with Jackie Shroff & Shabana Azmi in pivotal roles. Jazbaa is an official remake of South Korean film Seven Days that was released in year 2007. Official trailer of the film was out on 25th August and created huge buzz among audience. Aishwarya is one of the most favorite actresses in Bollywood and has huge fan following. Irrfan Khan is also a renowned actor best known for his versatility. Their fans are very much excited to the watch the film, releasing on 9th October.